Evangelist Dwight Moody came to Chicago in 1856 as a businessman but soon devoted his life to uplifting the poor in Chicago. 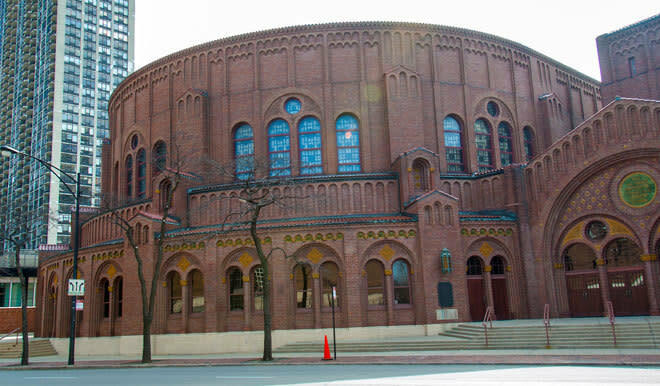 The church was designed after the Byzantine Hagia Sophia in Istanbul. 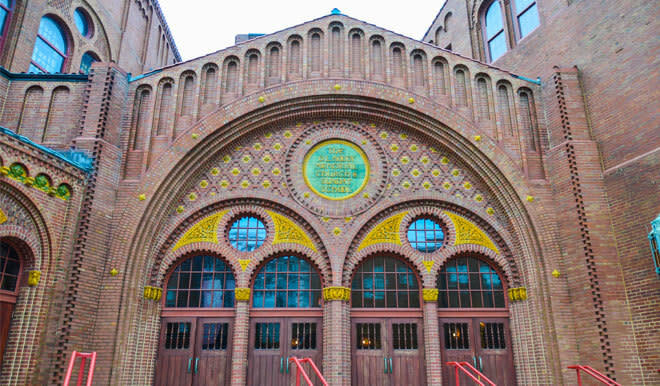 The brick structure features ornate terra-cotta ornamentation and the worship area is a large auditorium style space that holds well over 2,000 people.